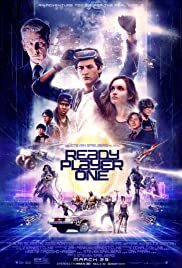 Fast-paced and fun, Ready Player One is a pure popcorn movie through and through. The movie has some issues with the script and dialogue, and the performances are solid at best (and some not-so-solid). But whatever flaws it has, the assured direction from Spielberg and some amazing special effects manages to make the movie better than it would have been in the hands of a lesser director. That being said, the movie feels like one that you won't be returning to all that often unless picking out easter eggs is your thing.